Our bookings are normally Wednesday to Wednesday. 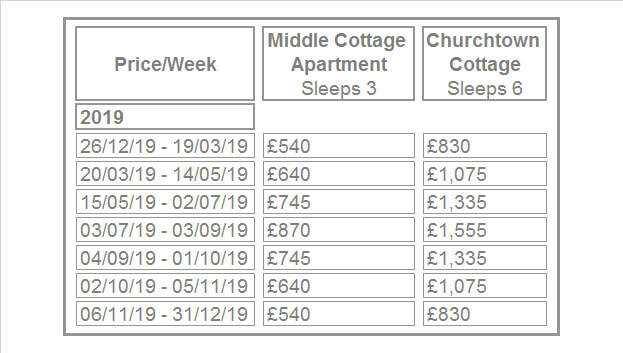 The price shown is per cottage per week. Shorter term lets and different start days are sometimes possible for instance October half term can be booked Saturday - Saturday. Please contact us if you need more information or wish to make a booking.